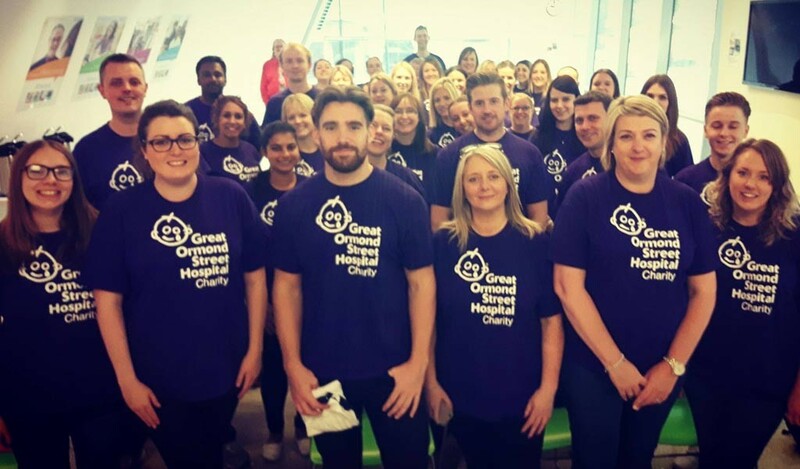 Every year the Butlin’s Sales & Marketing team take part in a challenge to raise money for our official charity, Great Ormond Street Hospital. Since 2015, we’ve raised an incredible £180,000 and 2016 saw us even more determined to keep the fundraising up, thinking of new and creative ways to do it. So how did it all happen? 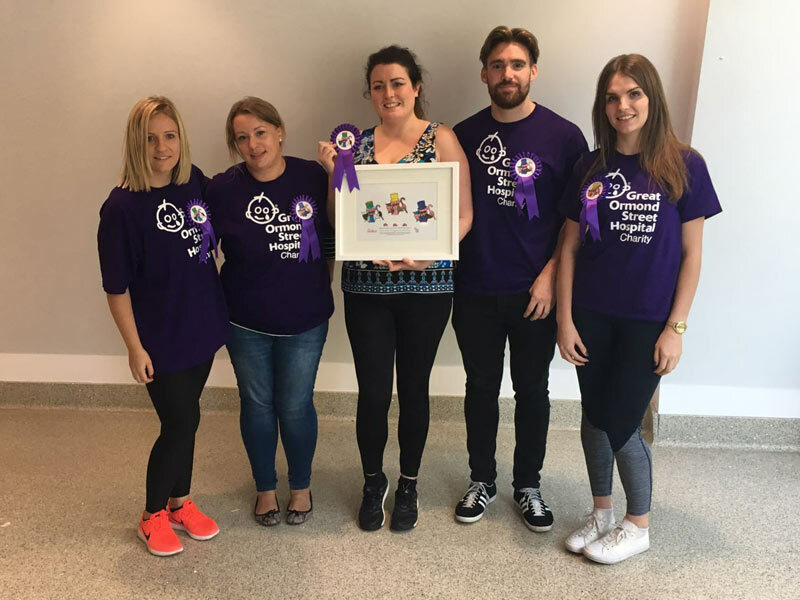 Firstly, we were given a date and told we’d be taking part in a secret challenge that would raise money to fund a Play Team member at GOSH. The Play Team do such an amazing job helping young patients to not only understand their own medical procedures but importantly to make their hospital experience as easy and happy as possible. So with that in mind, we were all securely on board to make this year’s fundraising task a special one. As the weeks went by and our curiosity grew, we received another email. We were being split into 8 teams of 5 and the first part of our mission was revealed. We needed to raise £250 within our teams and anything over that would give us an advantage on the day. Regardless of our attempts to crack the challenge (including endlessly badgering the ‘games master’), it didn’t work. But as the date arrived, each team had smashed their £250 target, some teams by over an amazing 600%, and so we were ready and willing to take on whatever awaited us. Okay, enough with the suspense. 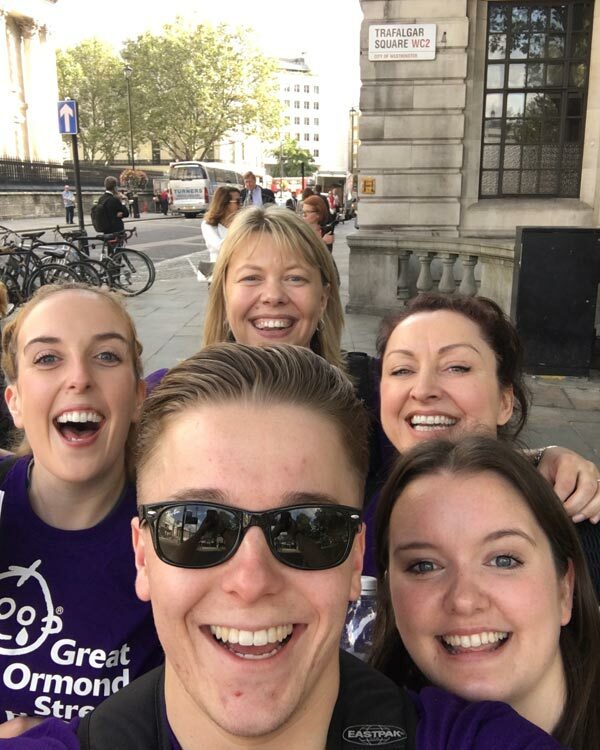 Our charity challenge was a human Monopoly style mission which saw 8 purple-GOSH-t-shirt-wearing teams race around London in the bid to get as many points as possible within 5 hours. Of course it wasn’t possible to hit every single location, all of which varied in the number of awarded points, so strategy planning was given before we set off at 11am; divided into our teams, we huddled around maps of London planning the best route to take. 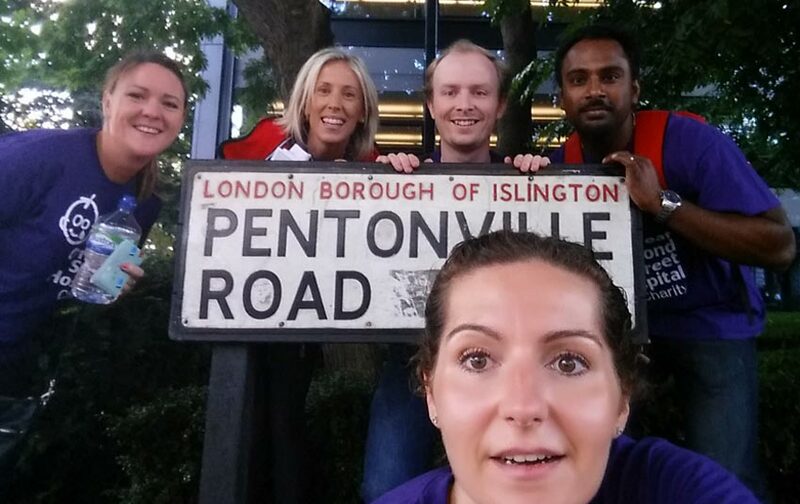 Photographic evidence of the whole team had to be taken at every location; selfies by a road sign were a particular favourite. Walking, running and using the Tube were suggested methods of transportation; thank goodness for those gym leggings! Team D perfectly the team selfie! 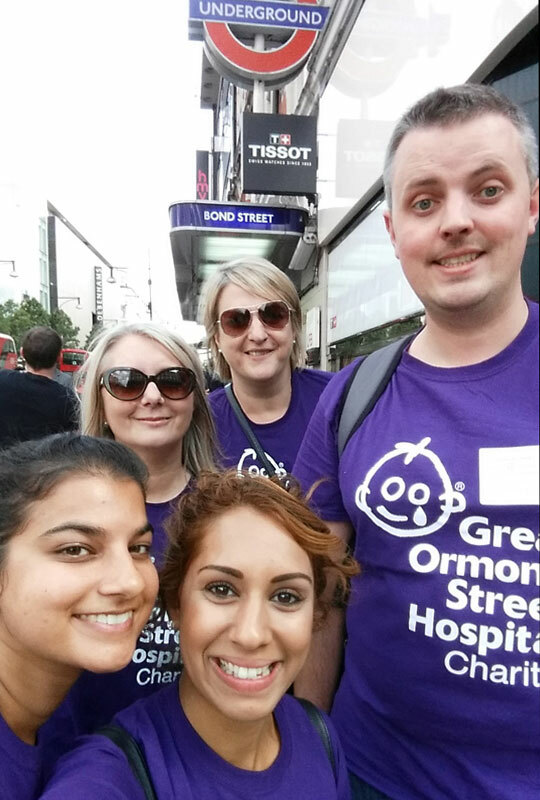 Each team had to take part in a time-allotted fundraising task during the day; either bag packing at Waitrose or bucket collecting at Baker Street tube station. We had a Chance card and Community Chest card. Unlucky for some, the Chance card saw some teams lose points, others gained, while the Community Chest required a slightly awkward task to be done in public. These ranged from 3 press ups to starting a flash mob, to taking a photo with a policeman. Pass GO at Billy Butlin’s original London office, situated at 439 Oxford Street. Selected landmarks chosen to replicate those on the Monopoly board were given additional points i.e. Tower Bridge became the Waterworks. 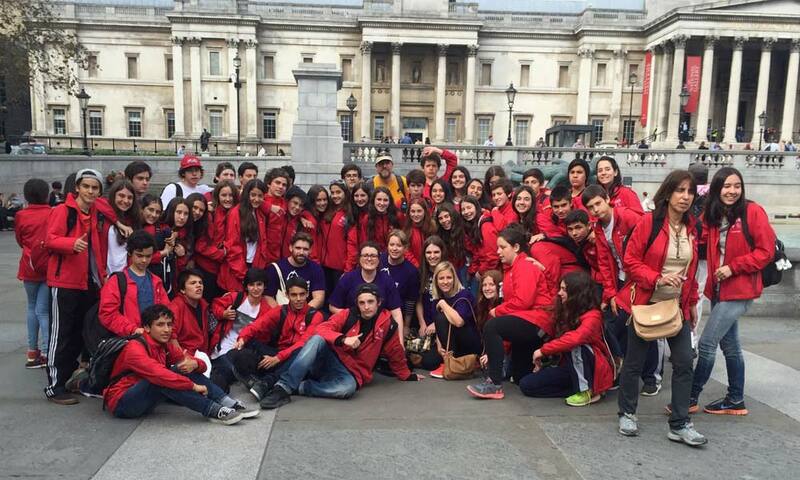 To gain an additional 5 points per photo, we could take a photo with anyone we spotted wearing a red coat. After asking nicely, of course! And so the challenge commenced! Can you spot Team H? Arriving back at GOSH, tired, sweaty and with achy legs, we got the opportunity to listen to a lady whose poorly daughter had been successfully treated at GOSH over the past few years. 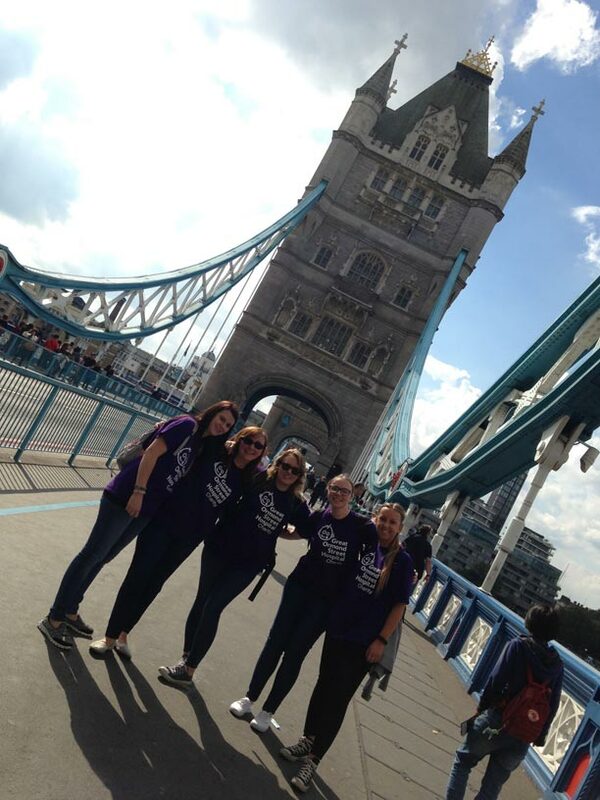 It reminded us why we raced around London, not to win but to raise money and spread awareness for an incredible charity that so many people hold close to their hearts. 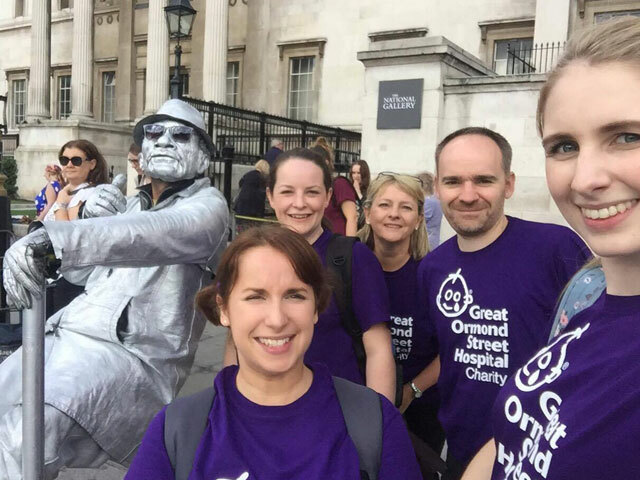 It reminded us why we take part in annual challenges to fund items of machinery, team members, hospital beds, anything that is needed to make the lives of those who need help from GOSH just that little bit better. 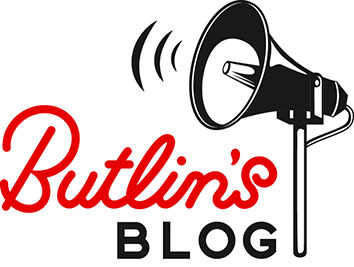 So it’s safe to say everyone who organised and took part in the Butlin’s and GOSH Secret Challenge had a truly brilliant day. 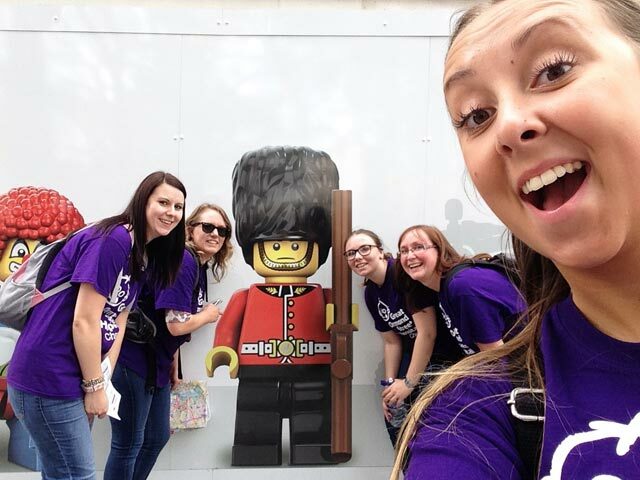 We’re so proud to have raised over £11,500 on this challenge alone and we can’t wait to see what next year brings us!